Water Rights | ECORP Consulting, Inc.
ECORP works with clients to develop sound approaches to technical and strategic water right efforts. This includes defensible approaches to secure new water rights, prove-up existing rights and optimize water right accounting and reporting. ECORP’s support includes technical analysis using robust project computer modeling to document water rights usage, preparing Water Availability Analyses to demonstrate the likelihood of unappropriated water being available, and developing accounting and reporting techniques. 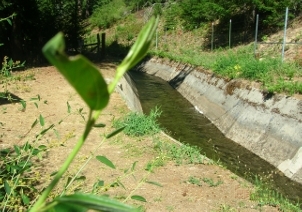 ECORP develops sound strategies to secure unappropriated water, develops applications for new and expanded water rights, optimizes methodologies for water right accounting and reporting, and works with the State Water Resources Control Board on all facets of the application, permitting and licensing processes.